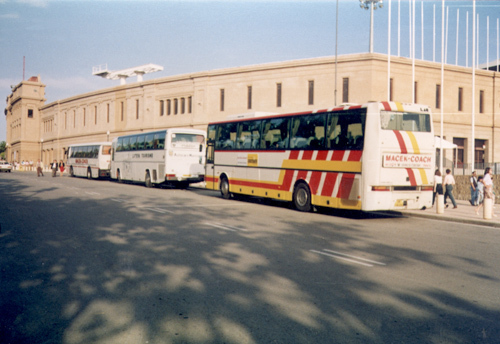 1990	-	The company is established…….and so it all begins…..
A Karosa coach is hired and heads off to Venice on sightseeing trips and on pre-Christmas shopping trips to Germany. This happens when our first bus, an Iveco Magirus, is delivered in February. 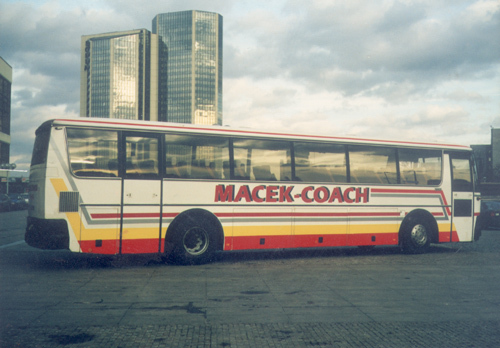 The coach comes from Germany, making us one of the first private carriers in Czechoslovakia to own a foreign bus. This was totally uncommon at that time and so our bus came to attract a great deal of attention wherever it went. 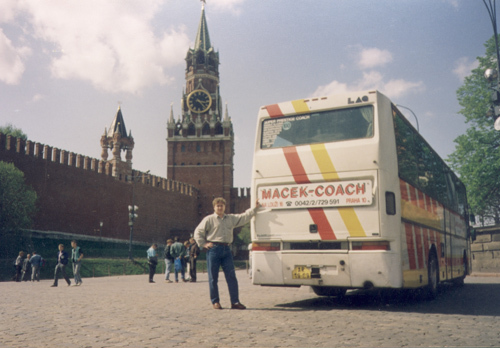 We acquired another foreign coach, this time a Daf Panoramic, and set off on sightseeing tours all over Europe. 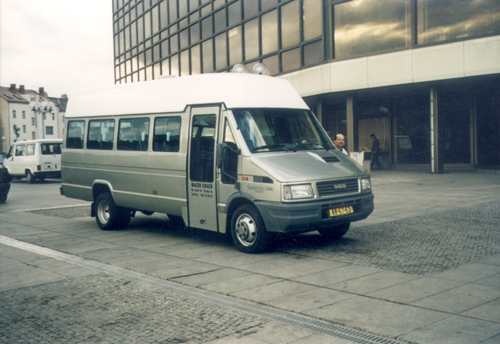 Over time the company also bought two Iveco Turbodaily minibuses for 19 people and it was at this stage that we started focusing on incoming tourists. 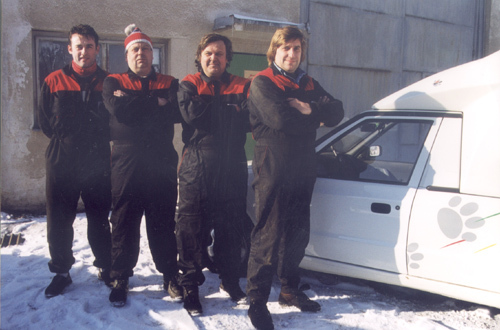 We were one of the first transportation companies to fit out our drivers in a company uniform and provide them with pagers to make sure that they were connected to the dispatch centre AT ALL TIMES, quite a financially costly operation back in 1994. We hired a large Daf Orion coach in order to meet the demand of ever-increasing numbers of orders from our clients. 1995 - 2000	A uniform image for our buses, the construction of new offices, the broadening of services for clients, the opening of a servicing department, and the expansion of our vehicle fleet. We came up with a wonderful idea to create a uniform image for our company. It didn't take long before our buses hit the road in their "new jackets". The work to be done was greater and greater. Our original offices were no longer big enough and so we built new ones that were more attractive and more modern. We also expanded our services to take in a DTP studio and began producing business cards, catalogues, maps of Prague, and various advertisements for our clients and travel agencies alike. We also opened a coach servicing department with filling station, coach wash, and large-scale hall in order to improve the quality of our vehicle fleet. Orders grew and grew and began to exceed our capacity, and so we moved into cooperation with other carriers in the knowledge that we needed to further expand our vehicle fleet. For this reason we decided to buy 8 new buses - a Setra, a Karosa 736 and 936 E, a Mercedes Tourismo, an SOR, a VW Transporter microbus, and two Renault Master minibuses. 2001 - 2005	Tourism crisis, the floods, back on our feet, new buses, birthday time. September 2001 - terrorist attacks on America have catastrophic effects on the development of tourism in the Czech Republic. 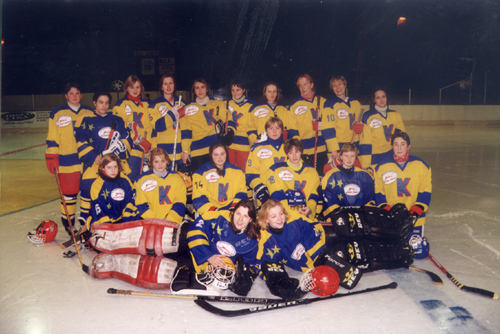 In spite of this we bought a new Mercedes Sprinter minibus during the 2002 season and took another Mercedes Tourisimo on loan. However, there was another major blow in the form of massive floods. The floods during high season caused more damage than we could possibly have imagined. Foreign tourists had no interest in coming to flood-hit Prague. They simply stopped coming and the whole season was a disaster. Tourism began to get back on its feet again after a difficult start to the 2003 season and tourists once again began to come to the Czech Republic. Thanks to this and a fresh influx of work we were again able to buy some new buses - a Bova Futura and a Renault Master minibus. In turn the quality of services, an influx of orders, and the satisfaction shown by customers allowed us to get another two Mercedes Sprinter minibuses. 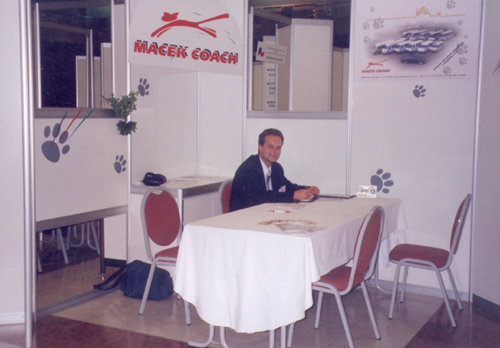 This year we are celebrating the 15th anniversary of MACEK COACH. There's no need to ask what sort of present we got ourselves - three beautiful new Mercedes Tourisimo coaches that we have bought to make sure that you, our regular and future clients, are satisfied and comfortable on your travels with MACEK COACH. Our continually updated fleet of vehicles and long-term experience of the tourism industry and coach transport are your guarantee of quality, safety, and reliability. TRY YOUR NEXT JOURNEY WITH US!